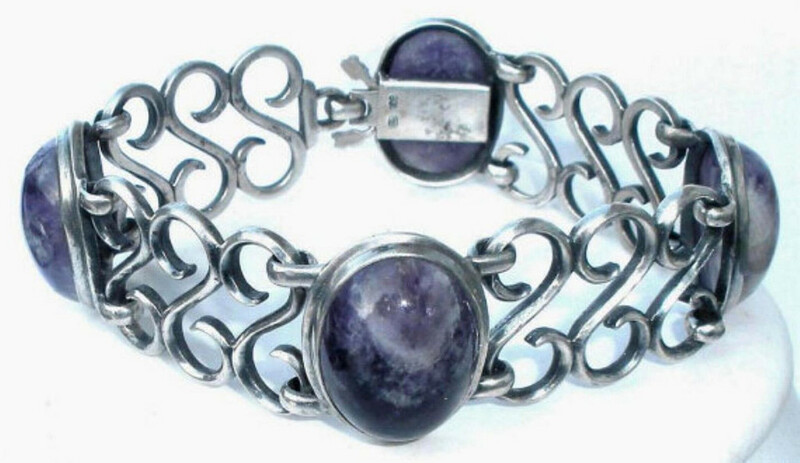 This is a very chunky heavy vintage Mexican sterling silver bracelet made by Rosi in excellent ready to wear or display condition. 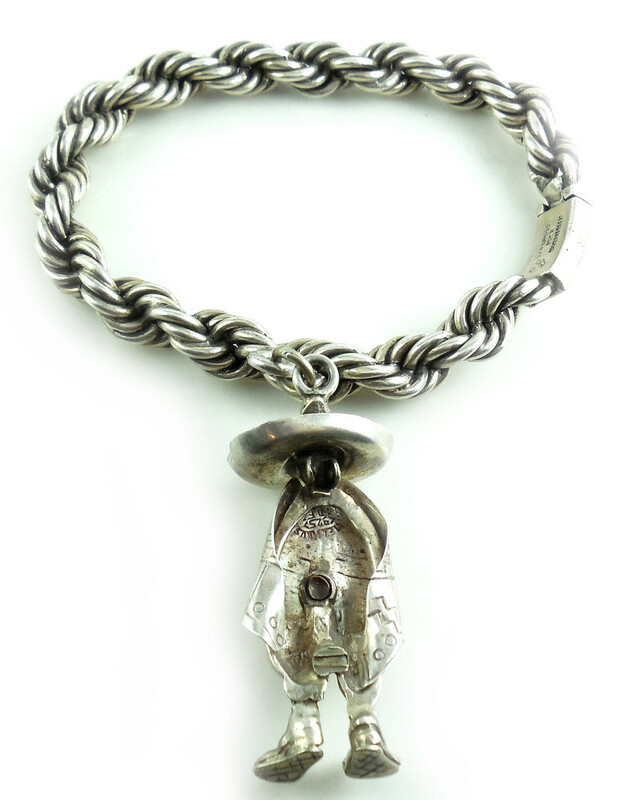 It has a large highly detailed 1 1/2″ figural charm wearing poncho, sombrero and sandals. 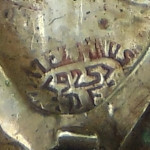 Bracelet is marked Hecho en Mexico, Rosi, Sterling 925 with an old eagle marking. 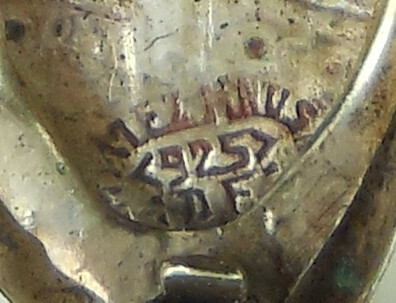 The figure has an old circle mark but I can only read DF in the center. 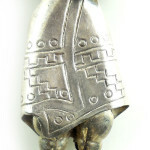 This charm is all HAND MADE and the poncho is separately hand applied to the figure thereby obstructing the rest of the marking. 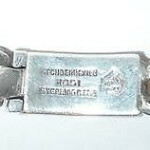 Bracelet size is 7 1/2″ by 1/4″ wide. 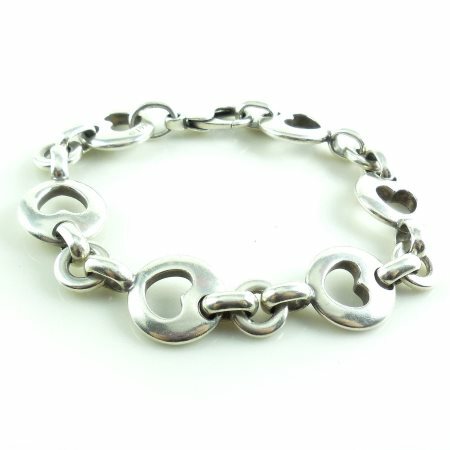 It has a very broad rounded chunky chain. Weight is 48.8 grams. Condition is excellent. This is a beautiful vintage bracelet for your Mexican jewelry collection. Very showy and noticeable. The charm is big; can’t miss it! 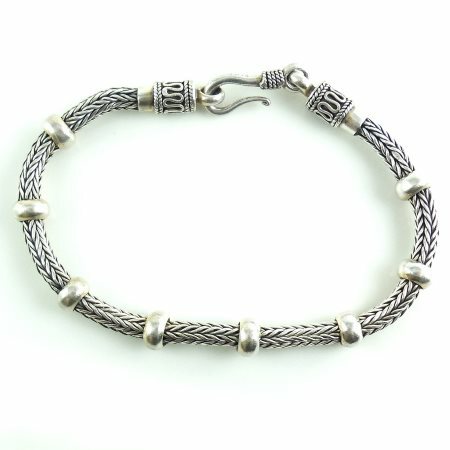 This is a beautiful fancy BA Suarti Balinese sterling silver wheat chain and hook bracelet with 8 evenly spaced sterling wrap around lugs. Marked 925 BA for BA Suarti. No damage. Unpolished. Size is 8 1/4" long. Width is 5mm wide across. Weight is 25 grams. 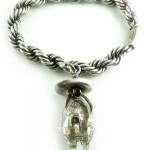 This is a showy well made fashion bracelet for your collection. 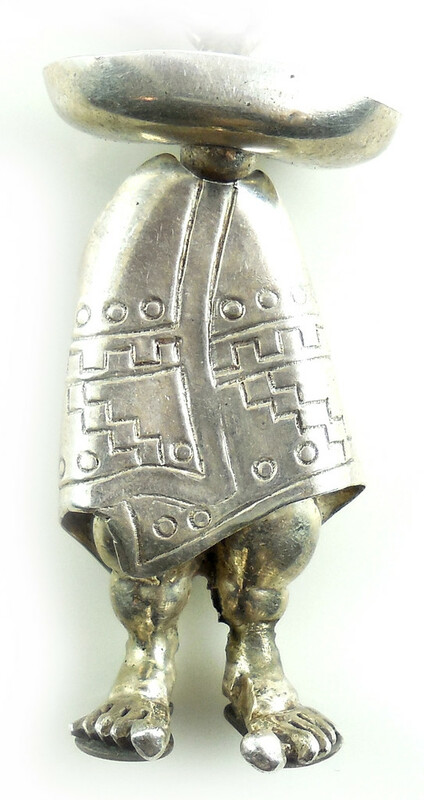 Native American or Southwestern sterling silver bear, fetish and turquoise toggle bracelet for watch or centerpiece. Marked 925, double circle and dollar sign marking. No damage. 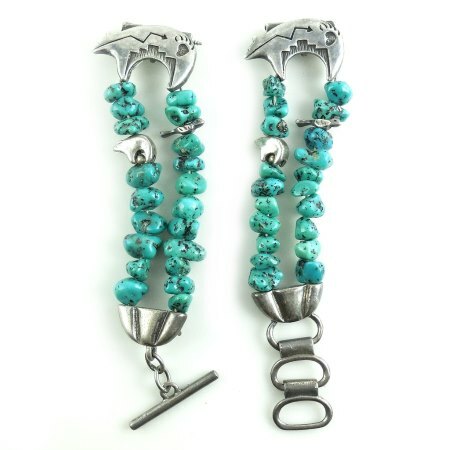 It has beautifully grained bright natural turquoise nuggets and sterling silver animal fetish charms. Size is 6.5" long end to end with the toggle clasped as you see in the photo. Width is 7/8" across the bead ends and 1/2" across the double turquoise strands. 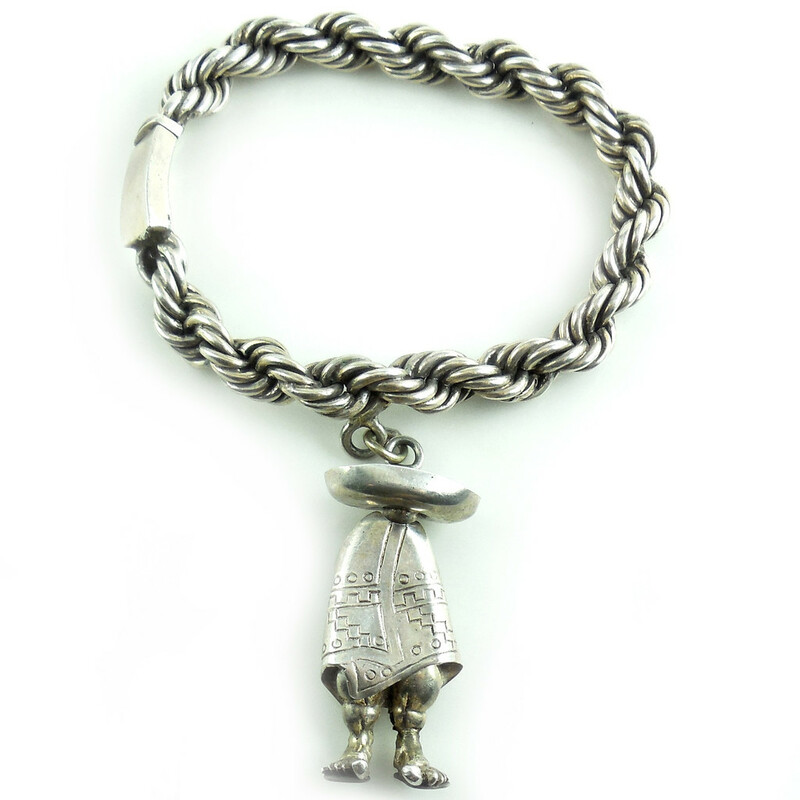 A lovely sterling fetish bracelet for your Native American or Southwestern watch or centerpiece.